If you want to stay in B&B Alnwick then stay here at Chatton Park House we are 20 minutes north of Alnwick but with the added attraction of peace and quiet. We are close to Alnwick gardens, Alnwick castle, barter books in Alnwick, Wooler the Cheviot hills, Bamburgh, Bamburgh castle, Dunstanburgh castle, Lindisfarne also known as Holy Island, Berwick upon tweed and many other beautiful villages and coastline. We are adult only, 5 star, boutique and offer luxury in our private 4 acre estate. All our rooms have fluffy towels, slipper, robes, fridges, tea and coffee facilities and much more. We offer the experience of a country house hotel. So stay B&B Alnwick, stay Chatton Park House bed and breakfast. If you want to stay near the beautiful Northumberland coast close to Bamburgh, Sea houses, Craster, Beadnel, Holy Island, Lindisfarne, Dunstanburgh, Lower Newton then Chatton Park House Bed and Breakfast is where you need to stay. We are close to all these villages but are surrounded by gorgeous countryside and set in very quiet part of the area. We offer 5 star luxury and all our rooms have super king size double beds, fridges, tea and coffee making facilities and loads of litre extras to make your stay with us special. So if you want to visit this beautiful Northumberland coast get in touch. www.chattonpark.com or 01668 215507. If you want to stay near accommodation Bamburgh but not right in the busy village then check out Chatton Park House Bed & Breakfast. We are a 5 star bed and breakfast offering peace and quite but close to all the attractions Northumberland has to offer. We offer luxury and are adult only. So if you want accommodation Bamburgh or Accommodation Alnwick or even accommodation Holy Island then Chatton Park House is the place to stay. Getting ready for the busy Easter weekend here at Chatton Park House B&B. If you want to visit Alnwick castle, Alnwick gardens, Cragside in Rothbery, Holy Island also known as Lindisfarne, Bamburgh castle, the Farms Islands to bird watch, Howick gardens, Wooler, the Cheviot hills, Berwick upon tweed our Hotel/bed and breakfast near Alnwick, Bamburgh, Holy Island, Wooler is the place to come. Go to www.chattonpark.com to book or ring 01668 215507. Are you searching for a romantic break in Northumberland with your loved one? Chatton park House is an award winning estate that offers luxury bed and breakfast in the mainmain house and in our beautiful cottage. We also provide the same experience as a country House Hotel, at affordable prices that include an a award winning breakfast, free parking and free wifi. Chatton Park House is recognised as one of the top boutique B&B's in England and we have been invited into the prestigious Michelin Hotel Guide for the last 4 years and have been awarded numerous awards and Accreditation's. The B and B in Northumberland was awarded AA guest Accommodation of the year, AA 5 Yellow Stars plus an Excellence for breakfast Award that put us in the top 10% of accommodation in the UK. Other award include 5 starstars and the prestigious Gold Award with Enjoy England. Our B&B in Northumberland is a beautiful Georgian house that is situated in 4 acres of gardens allowing you to relax and unwind. We offer a very high standard of accommodation and aan award winning breakfast. We are set between the Cheviot hills and the beautiful Northumberland coast. If you love nature, walks, magnificent coastlines, castles and stately homes Chatton Park is the perfect base. Please contact us via our web site www.chattonpark.com or call 01668 215507. 05/03/2019 • Bed and breakfast Alnwick, Northumberland. If your want to stay in Northumberland, near Alnwick, Holy Island, Bamburgh, or just walk the beautiful beaches or climb the Cheviot hills you could not pick a better location and accommodation than Chatton Park House Bed and Breakfast. We are just about to reopen for the 2019 season and are looking forward to meeting returning guests and new guests. All our rooms were renovated last year and we have revamped our guest dining room this winter to make your breakfast experience even better. Our location in the heart of Northumberland is a great location for all the places you want to visit in Northumberland we are near Chillingham castle, Wooler, Berwick upon tweed, Holy Island, Alnwick gardens, castle, Bamburgh Castle and beaches. We are also close to the Farne Island were you can take a boat to these beautiful islands full of sea birds and seals. You can either stay in our 5 star luxury b&b in the main house with free breakfast, WiFi and parking or our private lodge for total peace and quite were you can either wonder over to the main house for your breakfast or opt for self catering, your choice. All our accommodation is adult only offering total peace and quiet. So just choose what room or accommodation you want and book in now at www.chattonpark.com. or ring us on 01668 215507. we loo forward to seeing you at Chatton Park House in Northumberland soon. Are you looking to stay in the very best bed & breakfast in Northumberland? You need to visit the Chatton Park House website today. Based in the heart of the country, we are an established, adult-only estate that offers the very best accomodation in the local area. We aim to provide the same experience as a Country House Hotel, at an affordable price that includes bed and breakfast - so you know we are the people you need to contact. Each of the en suite rooms at this bed & breakfast in Northumberland are spacious and beautifully appointed - so you know we pay attention to detail in our work. Along with this, there is free fibre optic wireless internet access across the grounds, free parking and free breakfast - all set within the magnificent Northumberland countryside. The grounds are set in between the rugged coastline and Cheviot Hills, and is a fantastic experience for nature lovers, photography enthusiasts and those who love weekend breaks. Here at Chatton Park House, we also have some more private accommodation. The Lodge is set in its own private garden with parking and you get the desired experience of 5 star luxury accommodation but in total privacy. It includes a super king size beds and twin single beds, so is perfect for a family weekend away. The only thing you have to do is relax and then come over to the main house for Paul's World-Renowned Breakfast. Do you want to stay in the very best B&B on the Northumberland Coast? The Chatton Park website is the place you need to visit today. Based in Northumberland, our premises is an award-winning luxury Northumberland estate offering 5 star adult only B&B accommodation in the main house and a separate private detached 5 star cottage on its own grounds. Our B&B on the Northumberland Coast is the perfect place to treat yourself, where you can enjoy the tranquillity of a private 4-acre estate. Each of the en-suite rooms on our estate is spacious and beautifully appointed, the perfect place for a luxurious weekend away. There is also access to free fibre optic wireless internet access across the grounds, free parking and free breakfast - so you know this is the place you need to stay. The Lodge is set in its own private garden with parking and you get the desired experience of 5 star luxury accommodation but in total privacy. It includes a super king size beds and twin single beds, so is perfect for a family weekend away. The only thing you have to do is relax and then come over to the main house for Paul's World-Renowned Breakfast. Are you looking to stay in the very best accommodation in the Holy Islands? The Chatton Park House website is the place you need to visit. We are an established, adult-only establishment based in the heart of Northumberland that offers B&B accommodation in both the main house and our 5-star cottage. Chatton Park House is a beautiful Georgian house that is situated within four acres of gardens. The surroundings will allow you to relax and unwind, with our very high standards of accommodation, and breakfast included. 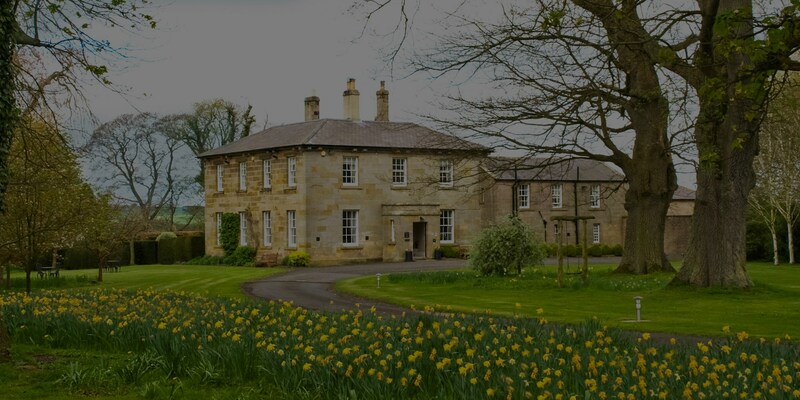 Chatton Park House is set in between the rugged coastline and Cheviot Hills, and is a fantastic experience for nature lovers, photography enthusiasts and those who love weekend breaks. Whether you spend the weekend in our Georgian house or the private lodge, we have a choice of well-appointed suits and spacious rooms for everyone. Our area is renowned for its stunning beaches and scenery and we are an ideal base for exploring the Northumberland countryside and coastline. The premises is close to a number of tourist attractions, including Berwick upon Tweed. This is England’s most Northerly town, which is a stunning Elizabethan walled town with thrilling military history, golden beaches and a rich variety of birds and wildlife. If you would like to stay in some of the most luxurious accommodation in Bamburgh, you need to visit the Chatton Park website today. We are an award-winning luxury Northumberland estate offering 5 star adult only B&B accommodation in the main house and a separate private detached 5 star cottage in its own grounds. We aim to provide the same experience of a Country House Hotel, at an affordable price that includes bed and breakfast. Our accommodation in Bamburgh is set in between the rugged coastline and Cheviot Hills, and is a fantastic experience for nature lovers, photography enthusiasts and those who love weekend breaks. Our tireless attention to detail ensures that each and every visitor is treated to a relaxing, hassle-free holiday. No matter whether your stay is a quiet romantic getaway with your significant other, a quick overnight visit as you pass through to another destination - you are guaranteed to be 100% happy with your stay. Each of the en suite rooms on our estate are spacious and beautifully appointed - so you know we pay attention to detail in our work. Along with this, there is free fibre optic wireless internet access across the grounds, free parking and free breakfast - all set within the magnificent Northumberland countryside. Do you want to stay in a gorgeous bed and breakfast near Alnwick? The Chatton Park House website is the place you need to visit. We are an established, adult-only establishment based in the heart of Northumberland. We are an award-winning estate that offers B&B accommodation in both the main house and our 5-star cottage. We aim to provide the same experience as a Country House Hotel, at an affordable price that includes bed and breakfast. Our bed and breakfast near Alnwick is a beautiful Georgian house that is situated within four acres of gardens. The surroundings will allow you to relax and unwind, with our very high standards of accommodation, and breakfast included. It is set in between the rugged coastline and Cheviot Hills and is a fantastic experience for nature lovers, photography enthusiasts and those who love weekend breaks. Whether you spend the weekend in our Georgian house or the cottage, we have a choice of well-appointed suites and spacious rooms. Each of the en-suite rooms on our estate is spacious and beautifully appointed - so you know we pay attention to detail in our work. Along with this, there is free fibre optic wireless internet access across the grounds, free parking and free breakfast - all set within the magnificent Northumberland countryside. Our area is renowned for its stunning beaches and scenery and we are an ideal base for exploring the Northumberland countryside and coastline, so do you want to make a booking at this bed and breakfast near Alnwick? Contact Chatton Park House on 01668 215 507 or you can email enquiries@chattonpark.com with any queries you have. Are you looking to stay in the best B&B in Alnwick? If the answer to that question is yes, you need to visit the Chatton Park House website. We are an award-winning luxury estate based in the heart of Northumberland offering 5-star adult only B&B accommodation in the main house and a separate private detached 5-star cottage in its own grounds. If you are looking for the perfect mini break - we are the place you need to visit. One of our most popular rooms at this B&B in Alnwick is The Lodge. This place is the perfect place to treat yourself, so why not book this room non serviced for extra peace and quiet. The lodge is set in its own private garden with parking and you get 5-star luxury accommodation but in total privacy. It includes a super king size beds and twin single beds, so is perfect for a family weekend away. The only thing you have to do is relax and then come over to the main house for Paul's World-Renowned Breakfast. 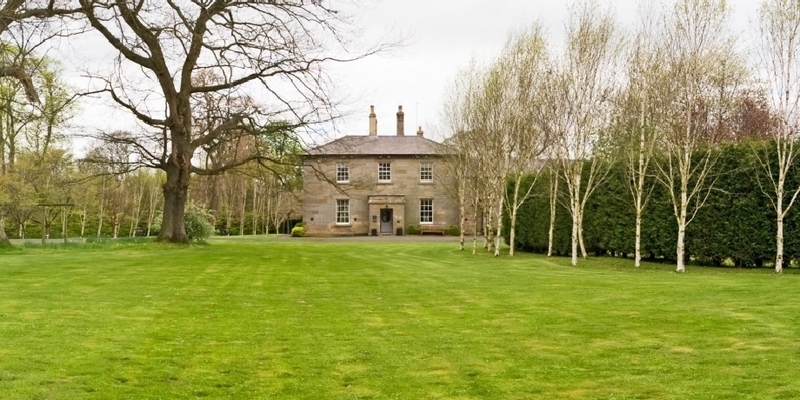 Here at this B&B in Alnwick, you can enjoy the tranquillity of a private 4-acre estate. Each of the en-suite rooms on our estate is spacious and beautifully appointed - so you know we pay attention to detail in our work. Along with this, there is free fibre optic wireless internet access across the grounds, free parking and free breakfast - all set within the magnificent Northumberland countryside. Do you want to stay at this B&B in Alnwick? You need to visit the Chatton Park House website today. We are located 4 miles from the A1 and ½ a mile from Chatton, our local village. Our area is renowned for its stunning beaches and scenery and we are an ideal base for exploring the Northumberland countryside and coastline. If you want to have a chat with a member of our team give us a call on 01668 215507 and we can discuss your desires. Are you searching for a B and B in Northumberland to spend the weekend with your loved one? Chatton Park House is an award-winning estate that offers B&B accommodation in both the main house and our 5-star cottage. We aim to provide the same experience of a Country House Hotel, at an affordable price that includes bed and breakfast. The Chatton Park House is recognised as one of the top boutique B&B’s in England, and we have be invited into the prestigious Michelin Hotel Guide three times, and have been awarded numerous awards and accreditations. The B and B in Northumberland was been awarded AA Guest Accommodation of the Year, AA 5 Yellow Stars plus an Excellence for Breakfast Award, that has put us in the top 10% of accommodation in the UK.  Other awards include 5 Stars and the prestigious Gold Award with Enjoy England. Our B and B in Northumberland is a beautiful Georgian house that is situated within four acres of gardens. The surroundings will allow you to relax and unwind, with our very high standards of accommodation, and breakfast included. Chatton Park House is set in between the rugged coastline and Cheviot Hills, and is a fantastic experience for nature lovers, photography enthusiasts and those who love weekend breaks. Whether you spend the weekend in our Georgian house or the cottage, we have a choice of well-appointed suits and spacious rooms. For more information on our B and B in Northumberland, and what the service includes, you can head to our Chatton Park House page. Do you want to make a booking for our B and B in Northumberland? Contact Chatton Park House on 01668 215 507 or you can email enquiries@chattonpark.com with any queries you have. Alternatively, you can input all relevant information into the required fields of our Enquiry Form, and a member of our customer service team will reply to the message as soon as they can.